If you're able to take in the Panasonic TX-P60ZT65's price tag without fainting, then you should be well on the way to getting one installed in your living room. With its beloved plasma technology still besieged by wave after wave of LCD upstarts, Panasonic has decided to pull out all the stops and launch a plasma TV built with no other thought in mind than producing the absolute best picture quality a consumer plasma TV can deliver. In fact, as we'll discover, there's a very real sense with the limited edition 60-inch Panasonic TX-P60ZT65 that it's genuinely the last word in plasma excellence - a final blaze of defiant, money's-no-object glory before Panasonic settles back to gradual annual improvements to its more mainstream plasmas or even (though hopefully not) puts plasma to bed for good. Unsurprisingly, such a screen doesn't come cheap. 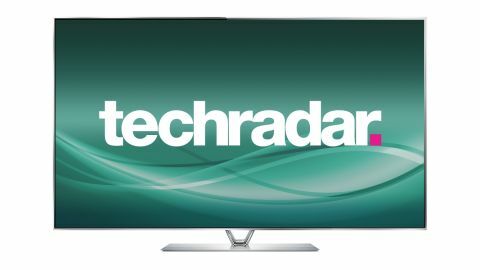 The Panasonic TX-P60ZT65's £3,999 (around US$5,990 / AU$6,540) full asking price makes it comfortably the most expensive 60-65-inch TV we've seen bar Sony's Ultra HD/4K-resolution KD-65X9005A. But also unsurprisingly it boasts a pretty monstrous feature and specification list. Highlights include a new Studio Master panel design complete with 'Air Gapless' panel technology to boost contrast well beyond even anything Panasonic has managed before, and a European Broadcasting Union (EBU) mode for optimised picture quality when watching broadcasts. Plus there's full endorsement by the THX quality assurance and ISF pro calibration organisations and the most comprehensive site of picture calibration tools and options the consumer TV world has ever seen. If all these high-falutin' features pay off as well as we hope they will, the Panasonic TX-P60ZT65 could finally lay the ghost of Pioneer's legendary Kuro plasma TVs to rest. Indeed, based on the Panasonic TX-P60ZT65 vs Kuro head to head Panasonic had set up during its main product convention earlier this year, this very aim seemed to be at the front of Panasonic's mind as it was conceiving its new plasma flag-waver. If you can't make the hefty financial step up to the Panasonic TX-P60ZT65, Panasonic has its also brilliant VT65 plasma TVs, available in the 65-inch Panasonic TX-P65VT65, 55-inch Panasonic TX-P55VT65 and 50-inch Panasonic TX-P50VT65 sizes, with the 65-inch costing around £3,500 and the 55-inch costing around £2,200. Where other rivals are concerned, the 55-inch Sony KD-55X9005A brings UHD/4K resolution to the table for the same £4,000 price, while the Samsung PS64F85000 delivers unprecedentedly bright 64-inch plasma pictures for £2,800. The first thing to consider here is the Panasonic TX-P60ZT65's design. Plasma TVs generally suffer aesthetically versus LCD TVs, thanks to their need for much wider bezels than the latest generation of Edge LCD TVs. The Panasonic TX-P60ZT65 certainly doesn't do anything to counter the bezel-width issue. But it does still achieve a degree of style, by covering both the bezel and the screen in a single sheet of glass and by mounting the screen on a gleaming, open-style 'V' neck that attaches to a surprisingly small and beautifully finished metal plinth stand. If you look at the Panasonic TX-P60ZT65 from an angle, you'll notice that its pictures don't suffer with the 'double imaging' issue you see with every other Panasonic plasma TV when viewing them off-axis. This is because Panasonic has managed to remove the usual air gap between the plasma panel and the front glass. It's something that's only been possible by manufacturing the ZT65 screens in autoclaves - rare, high-precision heated compression chambers required to make sure the panel layers bond together correctly. This manufacturing requirement is enough in itself to start justifying the Panasonic TX-P60ZT65's price - so long as the end results in picture quality terms justify the effort, of course. With this in mind, it's important to stress that the removal of the off-axis double imaging is not the only benefit of the Panasonic TX-P60ZT65's 'Air Gapless' design. Removing the air layer stops light refractions and reflections affecting the image, resulting in a greatly enhanced contrast performance - especially where black level response is concerned. To a home cinema fan, the thought of Panasonic going even deeper with the TX-P60ZT65's black levels than it has with its previous plasma televisions is nothing short of mouthwatering. And it's this step, of course, that is most likely to help the Panasonic TX-P60ZT65 overleap the contrast benchmark of Pioneer's legendary Kuro plasma TVs. The Panasonic TX-P60ZT65's panel also boasts, of course, the very highest level of the filtering technologies Panasonic uses to stop ambient light negatively impacting the contrast performance of its plasma TVs. Also, the processing power and number of calibration tools Panasonic has then applied to its innovative panel design are so extensive, it almost feels like Panasonic's engineers couldn't believe their luck at having so much flexibility and capability in the core panel to play with. Going through in detail all the picture options and fine-tuning tools that the Panasonic TX-P60ZT65 puts at your disposal would take forever, and is actually pretty pointless. It's more important to simply stress that even if you're a professional calibrator with THX and ISF training, you will find every possible calibration trick you could ever reasonably want, tucked away inside the Panasonic TX-P60ZT65's menus. Just to give you an idea, though, there's Rec. 709, SMPTE and EBU video standard settings, Colour Remastering for boosting the colour gamut and multiple noise reduction systems. Then there's a 'Brilliance Enhancer' that makes pictures look more dynamic by applying localised contrast boosts, a resolution enhancer, gamma controls, comprehensive colour management tools and comprehensive white balance adjustments. As if having so much set up flexibility at your disposal wasn't already groovy enough, Panasonic even enables you to call up the TV's calibration menus on its Viera Remote app for iOS and Android devices, so you can make your adjustments while looking at a picture on the TV that isn't hidden behind on-screen menus. If you were paying attention a couple of paragraphs back, you may have noticed we mentioned an EBU video standard setting. This stands for European Broadcasting Union, and it's the first time such a setting has ever been seen on a TV. This is because the Panasonic TX-P60ZT65 is the first TV that's been able to meet the extremely demanding picture quality and setting standards defined by the EBU as being necessary to reproduce broadcast pictures that look exactly as their creators and broadcasters intended them to look. The EBU's defined standards take in a huge range of picture quality facets, so the fact that the Panasonic TX-P60ZT65 can exclusively meet all these requirements is a real testament to the quality and flexibility of Panasonic's premium TV. Even the Panasonic TX-P60ZT65's connections are a cut above the norm. Not in number terms, perhaps (actually the fact that the TV only has three HDMIs is a bit disappointing), but rather in their construction, since they use gold plating so that their contacts don't degrade over time like normal TV connections do. With so much high-end finery, sophisticated manufacturing and, heck, old-fashioned AV love apparently ploughed into the Panasonic TX-P60ZT65, it's no surprise that Panasonic is really keen to make you feel special for owning one. So as well as making the TV available on a limited edition basis, when you buy one you become an automatic member of a new Golden Club, complete with a card that shows the individual number of your TV and the signature of the engineer responsible for its construction. On top of all its unique premium features, of course, the Panasonic TX-P60ZT65 sports the full range of more 'normal' features found in Panasonic's other TVs. Dominating these is Panasonic's excellent My Home Screen smart TV interface, which provides the easiest to use and most customisable means of finding and organising all the myriad content options you get with modern connected TVs. These content options include playback of files from USB sticks, SD cards and connected DLNA-enabled PCs, as well as media files on your smartphone or tablet courtesy of Panasonic's well designed and reasonably comprehensive Viera Remote 2 app. There are also apps and video streaming services on Panasonic's Viera Connect online platform. The only problem with the Panasonic TX-P60ZT65's Viera Connect platform is that it's a bit short of key video providers right now - there's no Lovefilm, and the only one of the main catchup platforms you get is BBC iPlayer.